1. 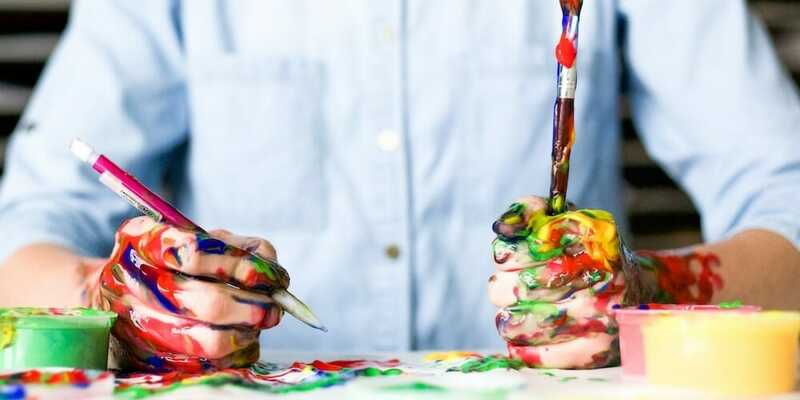 I thought real artists were able to generate all of their amazing ideas from scratch. 2. I thought real artists isolated themselves from pop culture in order to hone their sound. 3. And I thought real artists practically vomited originality as a result. You see, artists do the exact opposite. Artists almost rarely disassociate themselves from reality – because their influencers are the reason they develop their own sound to begin with. In fact, they don’t just study their influencers, but they study their influencer’s influencers. But that’s the trouble with originality. After all, it feels like almost every single day, I hear an A&R, a label or an artist talking about how important it is to be original. And don’t get me wrong – originality is obviously important. It’s what separates you from the mold. But you can’t become original without studying your influences. You can’t make something different unless you know how to make it different. The rules can’t be broken until you learn them in the first place.  We (producers/artists/musicians/songwriters etc.) are a walking mashup. We are a sum of our influencers. We are shaped and fashioned by what we love. And it is through our influencers that we borrow, chisel, mooch and acquire the necessary inspiration to create an original piece of art. Dare I say…it is through our influencers, that we steal our creativity. 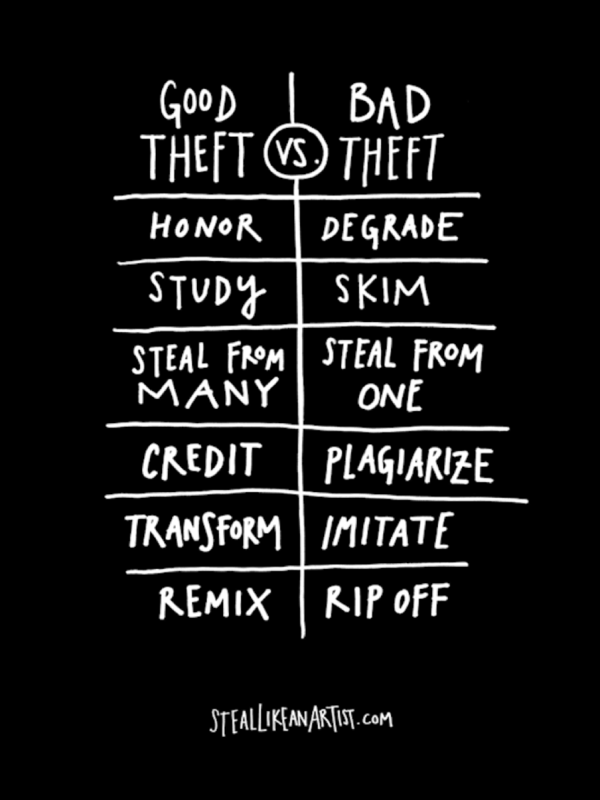 Stealing is quite the loaded word, so let’s separate good vs. bad stealing, as referenced in one of my all time favorite books “Steal Like an Artist” by Austin Kleon. And it is with this healthy version of ‘stealing’ in mind that I want to address my ten favorite ways to steal. This is directly from my personal workflow and if I’m being honest, the most important reasons as to why I’ve been able to make hundreds and hundreds of originals, remixes, and even engineer an additional several hundreds pieces of art. Every track I’ve listened to for the past 6+ years I have thought about stealing something. I’ve trained my ears to become fine-tuned stealing machines (yes, I’m aware that sounds super-corny). But if I’m still being honest, I don’t give two fucks. Naked kick drum? Grabbing that. Empty drum fill? Swiped. A lonely bass note? Definitely taking that. Once I’ve got the sample, I do everything I can to incorporate and transition it into my sound – I layer it, process it, warp it, distort it, eq it, etc. and then it becomes my own. I’ve done this in almost every commercially released track I’ve ever created. The start and end of almost every single dance-floor ready track has some dry percussion. Next time you are struggling to get a vibe going with your song, simply cut a bit of that intro or outro and place it directly into your song. Sure, you can EQ out the low end, but you don’t always have to. If you’re worried about copyright, well….you can always replace it later. Ever hear the groove or stab pattern of some chords and just think, damn – I wish I had thought of that? Well, try stealing the rhythm as a starting point. You can swap out the chords, replace the melody, use new percussive sounds – and I’ll almost guarantee that no one will ever notice where the idea started from. The solution to Loopitis? (you know, that horrible feeling of creating an 8-bar loop and then listening to it over and over again, never expanding the original idea in a completed track). Drop in a reference track directly into your DAW. I’m not saying you should steal the melody or the composition, just use the existing structure as a map. Oh, your favorite track executed a break here? You should do that too. Oh, here comes the build? Start yours as well. Eventually you can stray from this method, but until then – follow this to a tee. The art of referencing is a complicated one, but I must say this: it is amazing how much you can learn from a good mix. Sure, this might take a bit of ear-training, but you can EQ your clap or snare to match the color of your reference, you can match the amount of reverb used in the reference, you can select similar sounding samples, you can match the general loudness of the track both in LUFS or RMS….this list could go on forever. And what might happen? You’ll start to learn how the artist your referencing executes such amazing music. You’ll start to think like your favorite artists. And over time, you’ll start to make music as good as your favorite artists. The last thing you want to do is steal melodies, but chord progressions? Those are completely fair game. Beyond that, you can steal composition decisions. Don’t know how to transition out of your drop? Well, if your reference track used a reverse cymbal, paired with a few filters, followed by a drum fill, leading into a sub-bass impact, with a descending white noise effect, you could do the exact same thing – just pick different sounds, and it becomes your own. Don’t try to be an exact image of an artist you like, but instead, see through their eyes. Everyone who gets into the world of attempting to create original music will realize the importance of a solid vocal performance or topline. Instead of calling it quits or giving up on your original composition because you can’t find a good vocalist, simply create a remix to an existing acapella you found on the internet. Then, when it comes time to shop it around for vocalists, just remove the vocal. You’ll have an entirely flushed out original composition. This is the exact strategy I used for any remixes I made that didn’t get accepted. I either repurposed them as originals, or sold them as ghost productions. Don’t ‘write what you know’, write what you love. If you’re completely obsessed with a certain song right now, embrace that! Pretend that song had a sequel and write the second version of it. I guarantee it will sound completely different and will spark something completely separate from the original. Years from now, you might not even remember the association with the original reference track, but you’ll certainly remember your spin-off. In the songwriting world, one of my favorite techniques is to steal a line that I love from one of my favorite artists, swap some words around, and make it my own. This means that if Tove Lo famously sang “I gotta stay high all the time, to keep you off my mind” what if you take that idea, and make it your own. Is the lyric or melody I came up with amazing? Probably not. But I do like it, and it’s sparking an entire song. And that’s what we’re after in this exercise. Zach Montoya, co-instructor of the Hyperbits Masterclass, detailed his strategy for creating music based off an image or painting in a ridiculously awesome workshop a few months back. This strategy is so interesting and different, I’m not going to do it a disservice by talking about it here in this blog post. If you’re interesting in seeing our Ableton whiz conjure up a track idea on the fly in under 10 minutes, simply check out his Song-Starting Workshop. You won’t regret it, I can promise you that. In my opinion, every artist needs a system for the execution of stealing. 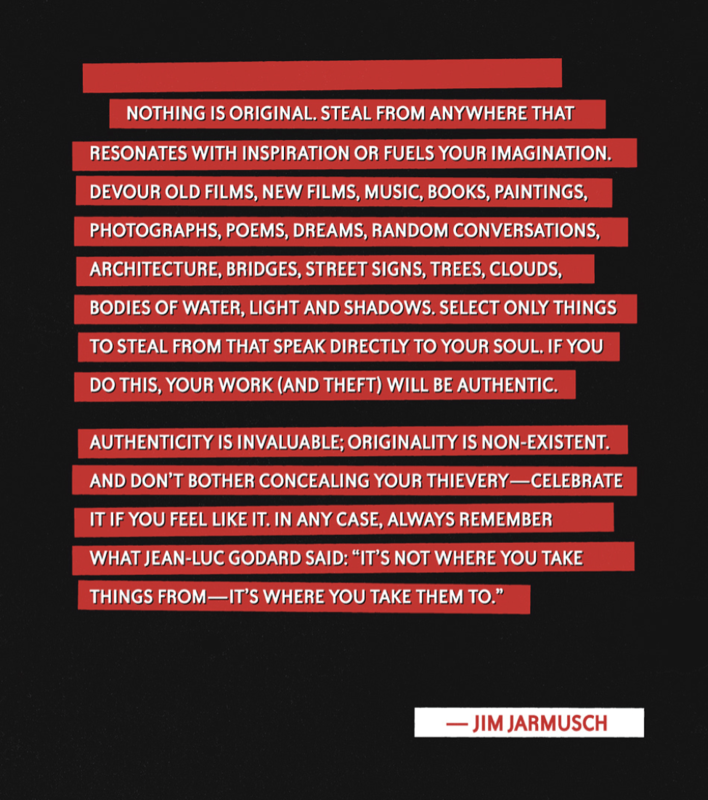 There is simply too much inspiration out in the world to not organize the way you steal. Every song that has ever been made is ammunition to fuel or spark your next creative idea. When we start to look at the world this way, we’ll realize that there is an infinite amount of inspiration at our fingertips, and it’s perfectly ok to steal it all. 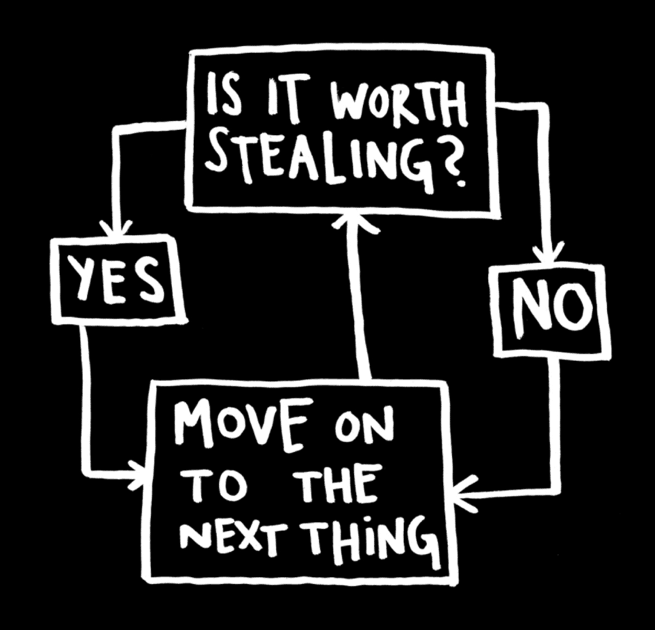 And at the end of the day, stealing is an artform. It is something I consider necessary in the creation of art. Without our influencers, we cannot continue creating much of anything, in fact. Nothing is original, but that’s not a bad thing. There is a lot of great art to learn from and the best kinds of art and artists thrive on many different influences. That alone should be enough motivation for all of us to read more books, listen to more music, consume more podcasts, try new food, travel, go to a museum and of course, take plenty of naps. Be a wise collector of hobbies, passions, and ideas. You are an amalgamation of the art you consume, so choose wisely. Everything is a remix, so steal like an artist.